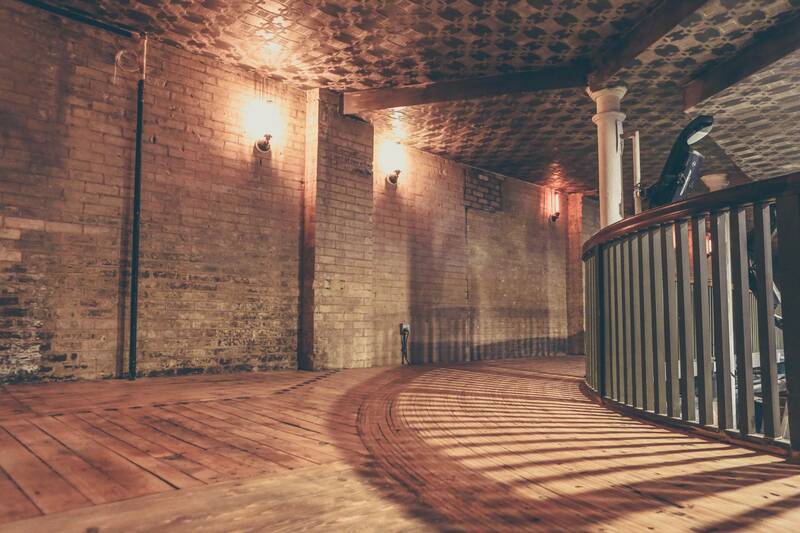 The Great Hall tells the story of Toronto’s past, present, and future in a revitalized Victorian heritage building. Completed in 1889, it first served as the West End YMCA, and through the early 20th Century evolved into an essential meeting place for Torontonians, hosting public speaking events and the performing arts. During the Prohibition era it housed the headquarters for a temperance society, and later provided much-needed housing for refugees from World War II. Since the dawn of this century The Great Hall has re-established its reputation as an incomparable landmark venue for signature corporate events and milestone social occasions. The Great Hall is customizable for any gathering of 2 to 1200 people, offering over 20,000 square feet of versatile event space across four distinctive venues. 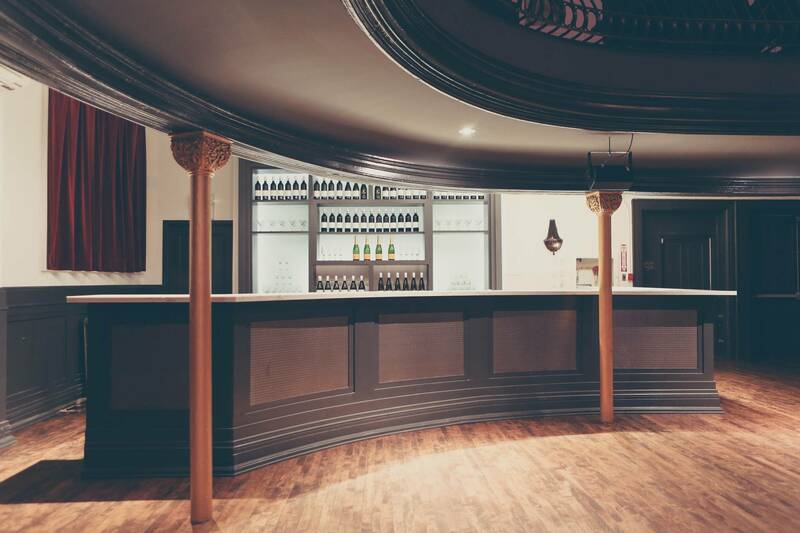 The flagship venue, Main Hall, features a horseshoe balcony, 30-foot ceilings, Waterford crystal chandeliers and wall of gilded scrollwork framing the legendary stage. 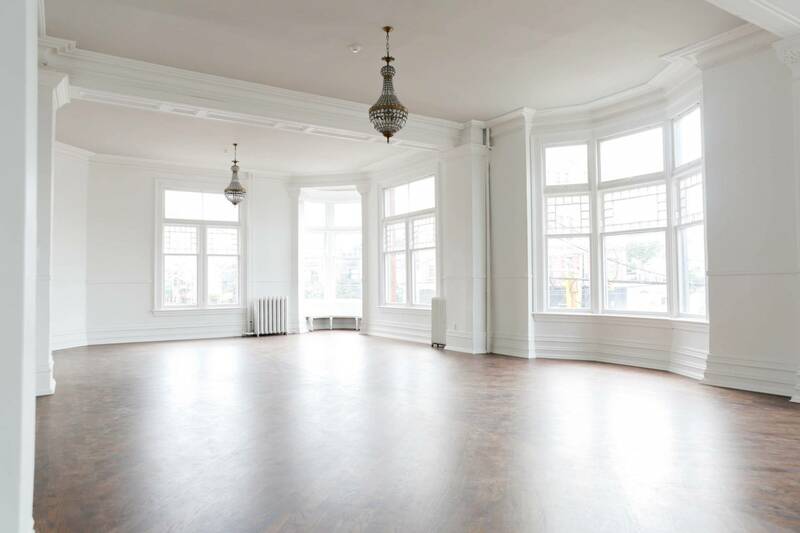 On the same floor, overlooking Queen St, Conversation Room’s crisp white walls, crown mouldings, and chevron hardwood floors create an atmosphere of airy, Victorian charm. One level above, the light-filled Drawing Room is as adaptable as it is intimate, with a gourmet presentation kitchen, restored 19th century windows, and decorative marble fireplace. Finally, Longboat Hall one of the city’s truly unique spaces. 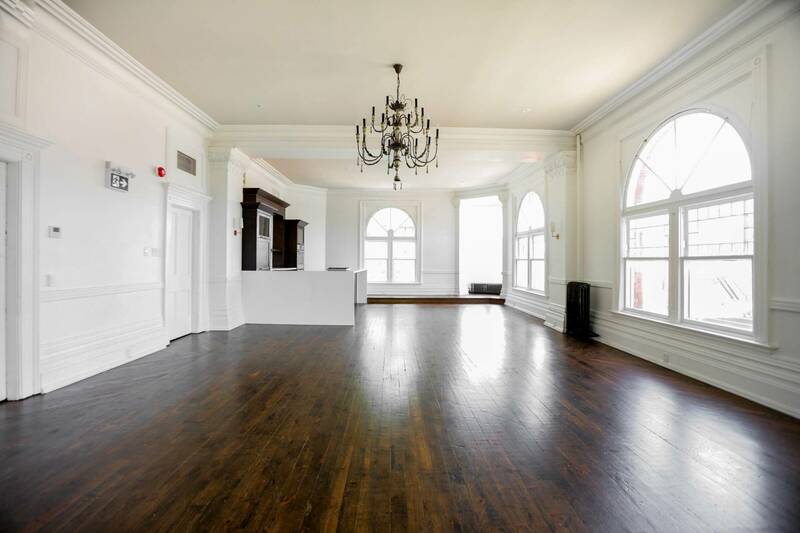 Once the YMCA gymnasium, this previously inaccessible for public venue now features the lovingly restored original indoor running track as a 360-degree balcony and is fittingly named for renowned distance runner and national hero, Tom Longboat, who trained here in the early 20th century. Sandstone brick, cast iron pillars, and the polished concrete floor combine to lend this singular venue an air of Industrial Age charm. 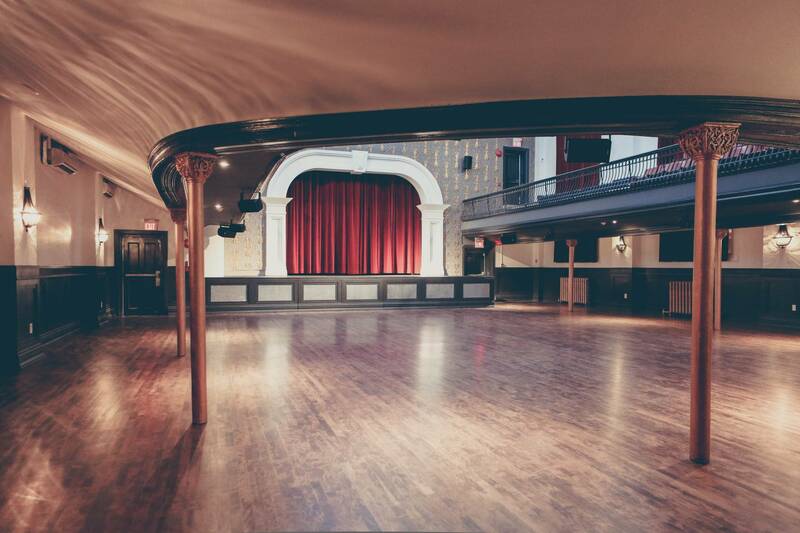 The Great Hall is customizable for any event and offers over 20,000 sq. 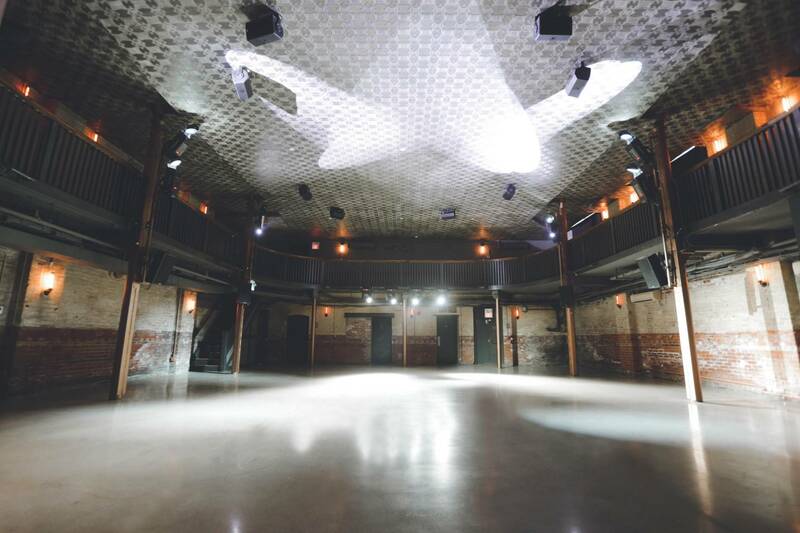 ft. of flexible space across four distinctive venues, which can be rented separately or together. These spaces can provide an intimate setting for groups as small as 10 or accommodate parties as large as 1,200.